An impressive improvement on the inefficient standalone fax machines many of us are used to, a connected fax server consolidates all faxing services on the network, allowing employees to fax electronic documents via email without ever leaving their desks. This creates time for more important company business, ensures greater security for documents, and reduces waste. A fax server with multiple fax lines is a simple solution for the cumbersome process. Incoming faxes are stored and delivered electronically to pertinent individuals, resulting in fewer workflow interruptions and stronger document security. 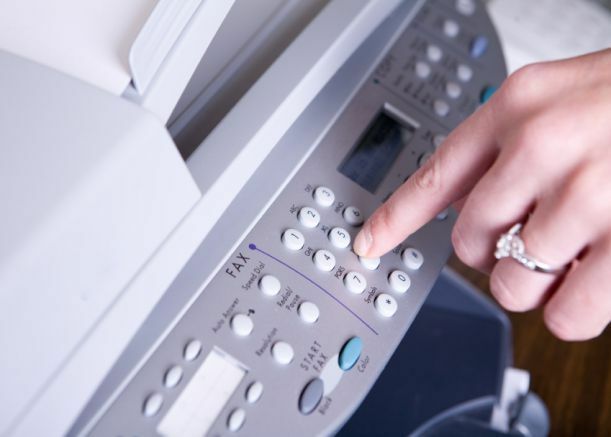 Outgoing faxes can be sent to the fax machine via email, and hard copies of documents can be faxed easily using an updated faxing system — a multifunctional device that offers printing, copying, scanning, and faxing. The server then sends a delivery notification via email. A streamlined faxing system not only saves time, but also money spent on paper, toner, printing costs, and additional phone lines. Our fax servers intuitively cut down on redundant faxes and can also block junk faxes that just end up in the recycling bin. At Pacific Office Automation, we offer a variety of fax servers from trusted industry partners that are tailored to meet our customers’ unique business needs.